Aimed at: disabled people, older people, people with long term conditions, or carers who are thinking about or employing Personal Assistants (PAs). Short description: our Pick and Mix workshops are free bite-sized information sessions to increase your confidence and skills and get to grips with what you need to do as a PA employer. It’s also a chance to meet new people with similar experiences. These are flexible, short sessions, which focus on practicalities and enable participants to get advice and support from our Independent Living Team staff. Saddah, is a Personal Assistant employer and took part in one of the sessions recently. Here he tells us how he’s gained from the project: ‘I gained so much peer support from coming to the workshop from the other participants […] because you can feel isolated as a Personal Assistant (PA) employer and a disabled person. With the advice and support I receive through LCiL and the workshops provided, I feel secure in the knowledge that I can address issues effectively, which has increased my confidence’. When registering for the session on managing payroll she knew she would benefit from ‘the opportunity to develop an in depth understanding of self-directed support and how Option 1 allows people to make choices about their own care package’. 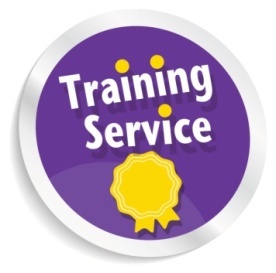 Get more information on the latest training opportunities on our News and Events section.